Phoenix Managed Networks has entered into partnership with Conceptunet, helping the network and cabling firm to launch a managed services division specialising in PCI security compliance. “In recent years, we’ve seen the IT infrastructure become an increasingly integral and complex part of the modern business operation, especially in industries such as retail, health care, food services and others,” said Dan Taylor, sales manager for Conceptunet. “This is an exciting partnership that will allow Conceptunet to enhance its current offering by adding the benefits of 24/7/365 managed network security and PCI compliance for debit and credit card transactions,” said Alan Stephenson-Brown, senior vice-president, International Sales and Business Development for Phoenix Managed Networks. The deal allows Conceptunet to offer customers the PhoeniXSentry managed network and security service. The cloud-based service protects sensitive information ensuring all businesses under its protection meet their PCI compliance requirements. 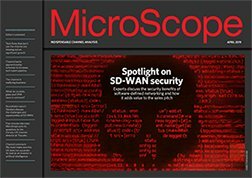 “The reality is that any business today that relies on the Internet to conduct business can’t ignore the potential for a data breach and as a leader in IT networks and services, the team at Conceptunet recognises that need and is now able to provide customers with a strong, reliable security solution,” concluded Stephenson-Brown.